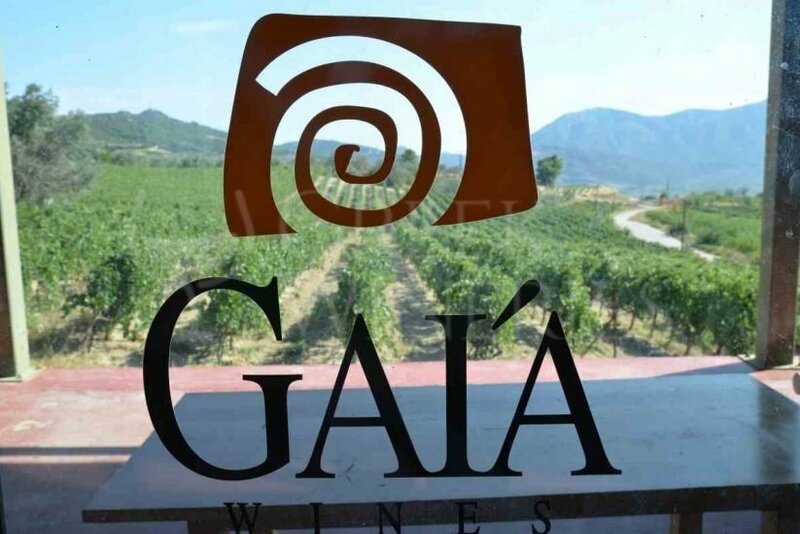 Gaia winery was built in 1997 at the heart of a private vineyard in Koutsi village of Nemea P.D.O. 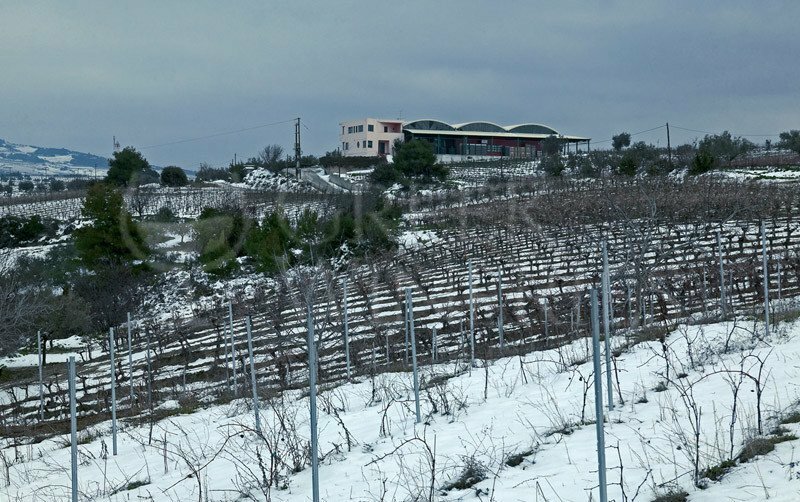 zone, at an altitude of 550 m.
Agiorgitiko grapes cultivated in Koutsi have higher quality than the rest zones of Nemea and are ideal for producing high-extract and oak-aged wines. The reason for this is that Koutsi is a semi-mountainous village surrounded by vineyards known for their chalky soils and proper drainage. The cool temperatures, the ideal sun exposure and the steep inclination of the vineyards give lower yields than other parts of Nemea. Gaia winery in Koutsi is a contemporary industrial building with magnificent view of the plains of Nemea and the whole valley, looking over Asopos River, around 250 m below. The state-of-the-art facilities hold up to 3,060 hl of wine. Yiannis Paraskevopoulos and his qualified team head every step of the winemaking process with the pure intention of producing only top quality wines. The winery strictly operates in accordance with the international standards of ISO 22000 quality guarantee. The winery is open to visitors the whole year upon reservation. Wines produced: Notios, Agiorgitiko, Gaia’s, Gaia Estate, Anatolikos, Rinitis Nobilis . Grape varieties used: sangiovese, syrah, sauvignon blanc, merlot, chardonnay, cabernet sauvignon, agiorgitiko, assyrtiko, moschofilero, rhoditis, savatiano, sklava, fileri, muscat rio, mavroudi, sideritis.